Gift Vouchers for Point of Sale. We offer gift vouchers that act as prepaid money-cards that are linked to your LightSpeed Restaurant account. 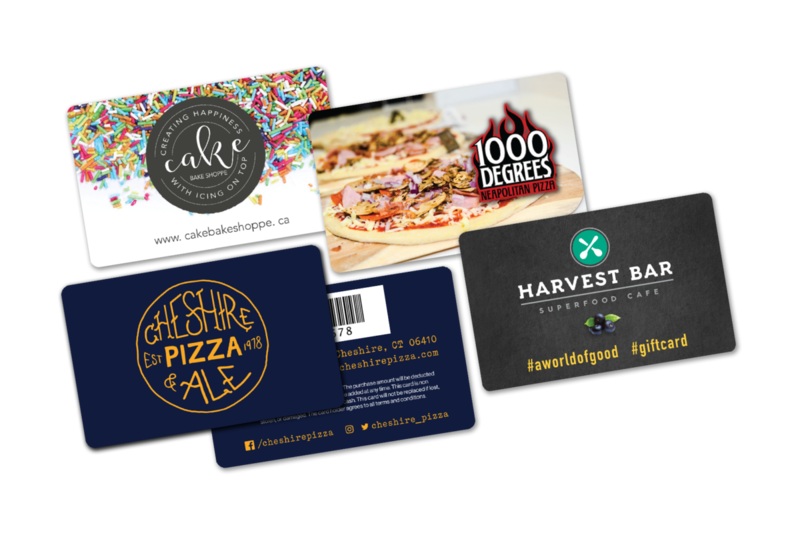 Gift cards are also compatible with multi-location restaurant environments. In order to work with gift cards in Restaurant POS, you must first create a Gift Card payment type in the LightSpeed Restaurant Manager. In Restaurant Manager, on the Payments screen click the Payments tab. 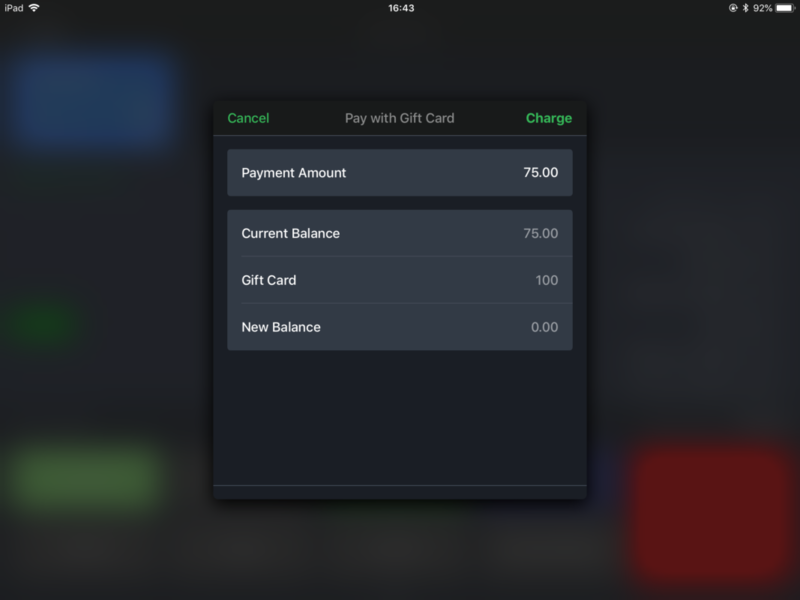 Enter a name for the Gift Card payment type as it will appear in Restaurant POS. Optionally, add a description for the payment type. From the Type drop-down menu, select Gift Card. 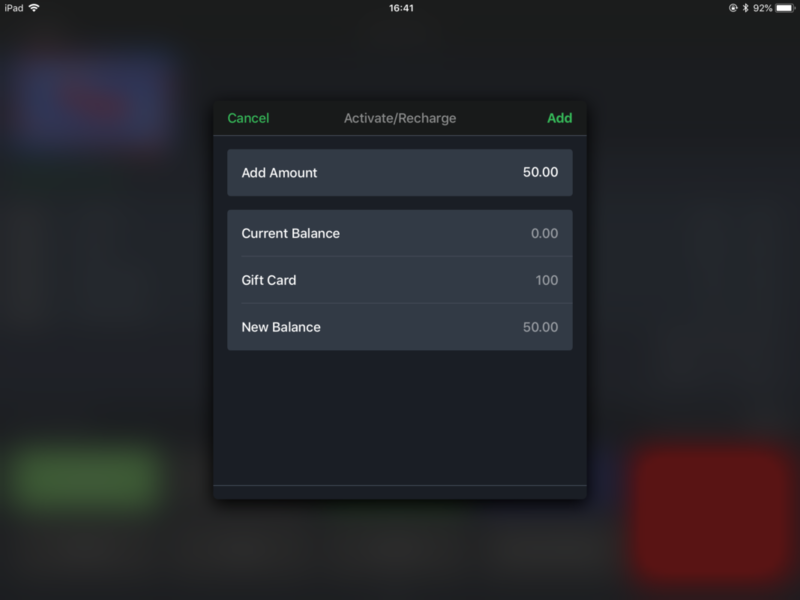 ensure the payment type is enabled for the Restaurant POS app. To verify the value of a gift card at any point, check its balance from within Restaurant POS. Scan the gift card or manually enter its number and tap Next. NOTE: The gift card number can be any alphanumeric code of your choosing for situations when a barcode won’t be used. Enter the amount to add to the gift card. From the Order screen in Restaurant POS, tap the Pay icon. In the Gift Card popup, tap Pay with Gift Card. Confirm or enter the desired Payment Amount. The New Balance will be adjusted automatically. Tap Finalize to close the payment. See Taking Payments. 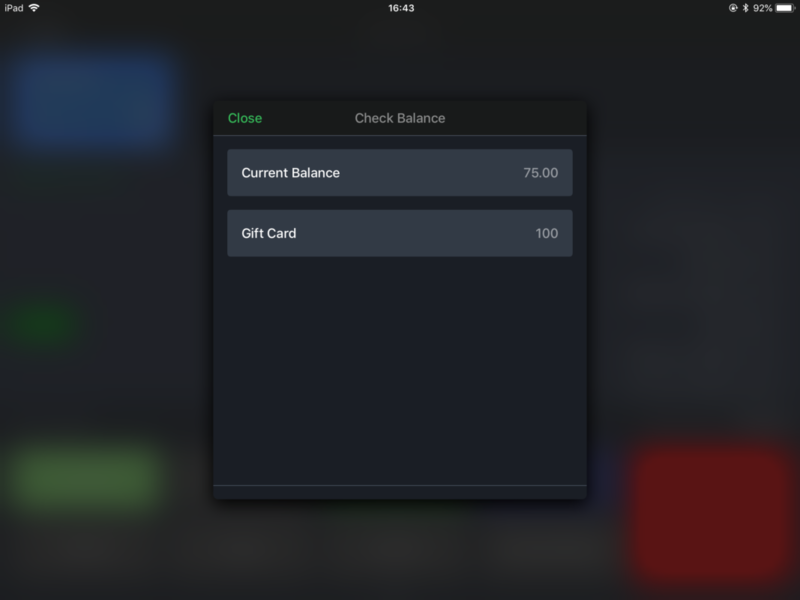 In the Gift Card popup, tap Check Balance. Scan the gift card or enter its number. Tap Next. The Current Balance, Gift Card number and Expiry Date (if applicable) will display in the popup. Tap Close to exit the Gift Card popup. 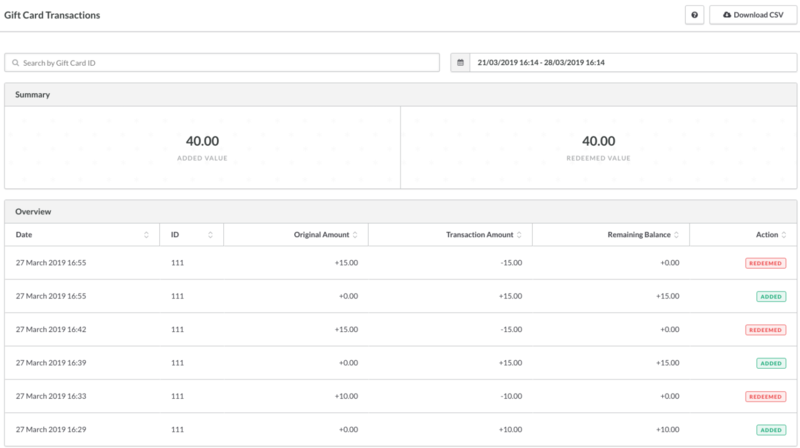 When using vouchers to cash off tables, they will instantly come up when you’re viewing your reports in the gifts card transactions page. You can keep track of gift card sales and the resulting changes to the gift cards with their remaining value. We offer several services to improve gift voucher functionality and integration for your business. Without having to build your existing point of sale system from the ground up again to add POS gift vouchers, we can integrate gift card functionality to whatever POS software you are using for your business. We can allow your business to sell and redeem your custom POS gift cards at the counter or online. If you have an existing business website, we can do custom integration to your website. Get your necessary hardware such as barcode scanners on our dedicated website below. Once ready, we will provide onsite set up to get your POS gift card functionality up and running. We will provide all of the staff training to sell gift cards within your POS systems.